As the world's busiest passenger airport, Atlanta's Hartsfield-Jackson moves over 75.9 million travelers through its eight terminals every year. Many inbound passengers will catch connecting flights. Some will drive into the metro area to do business with the 16 Fortune 500 companies headquartered there. And some will head home to one of the city's 26 major suburbs. But a tiny, fortunate segment of that group will get onto I-75 and take exit 239 to a place called the Porsche Experience Center, which sits just off the airport's northeastern border. Opened last year, the 26-acre complex houses the legendary German automaker's new North American headquarters, a mammoth, LEED-certified building complete with business center, restaurant, museum and a restoration facility for classic Porsche cars. But as its name suggests, a big draw for the Porsche Experience Center is the chance to get behind the wheel of one of the world's most iconic sports cars. Assuming you're 21 or over, possess a valid driver's license and have prepaid for a reservation, Porsche pairs you with a driving instructor, then buckles you in for 90 white-knuckled minutes on a 1.6-mile track. Out on the sunbaked labyrinth of asphalt, drivers navigate the curves of the handling circuit, practice skid control on the "kick plate" and open up on the straightaways. Prices range from $300 for a session with a new Cayman to $850 for the chance to "test your limits to maximum speed" on a 911 GT3. The facility attracts 10,000 people per year, and Porsche marketing vp Andre Oosthuizen expects that to soon hit 12,000. "The driving program is where the rubber meets the road," he says. "You'll get an education, but we'll put a smile on your face. It's an experience second to none." It's also the latest example of how luxury automakers are using an extreme example of experiential marketing to differentiate their brands. Porsche is hardly the only player. At a time when premium nameplates like Audi, BMW and Mercedes-Benz are duking it out for the same consumers, it is no surprise that all three are operating driving academies. According to Jon Schulz, a veteran marketer who spent many years at Ford Motor Co. and now is CMO of the ad-tech firm Viant, giving a potential customer the chance to put a car through its paces can help a buyer over a hurdle that a mere trip to the showroom cannot. "These are high-margin vehicles, and for the average customer the question is, how do you justify [purchasing] it?" he says. 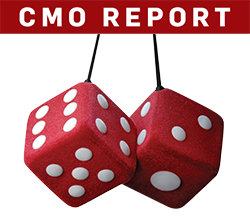 "The ability to demonstrate technology and performance with the customer—create those memorable moments—are a very positive brand association that marketers just die for." That's not exactly a new idea. In Europe, luxury brands have operated such facilities for years. Ferrari operates a driving school in Modena, Italy, for example, while Maserati offers "master driving courses" on its track near Bologna. But over the last decade or so, as luxury European nameplates have opened manufacturing plants and headquarters in North America, many have imported the driving academy experience as well. "Our driver training started in Munich, and it was so popular there that we decided to do it here," explains Daniel Gubitosa, director of BMW's Performance Center, a $12.5 million facility in the Greenville-Spartanburg, S.C., area whose 1.7-mile track opened in 2000 and draws some 15,000 participants annually. 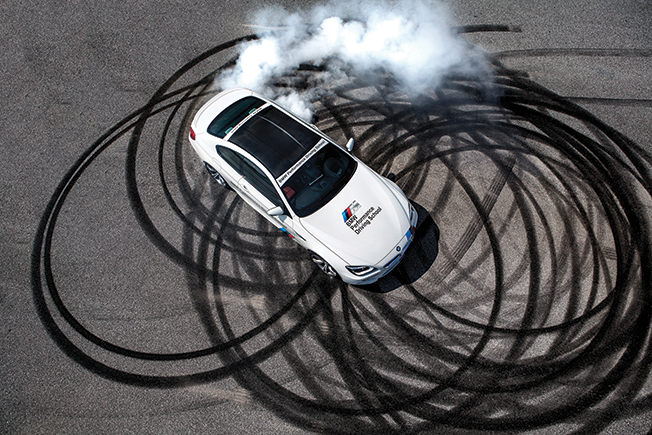 (A smaller location operates near Palm Springs, Calif.) With trained instructors (some of them Nascar veterans), a range of programs (from basic to the advanced "M School") and 120 of the latest BMW models on hand, the center promises a chance to "become the ultimate driver"—a reference to the brand's "Ultimate Driving Machine" tagline. "This is a huge part of our marketing plan," Gubitosa says. "Getting people into the cars and letting them drive is really important. Everybody walks away with a new skill. We want people to enjoy driving and experience the brand." An obvious advantage of allowing the public to get behind the wheels is that it paves the way for participants to equate the attributes of quality, technology and performance with a particular brand name. Put another way, it's one thing to put out a marketing message, quite another to enable a consumer to experience the product for himself or herself. "We would not undertake something like this if we didn't believe in our brand," says Bryan Lima, project lead of brand experience marketing for Mercedes-Benz. Eight years ago, Mercedes transported its AMG Driving Academy, a program that had operated successfully in Germany, to the U.S. With five levels of instruction at four tracks around the country, Mercedes charges $1,895 for a basic, one-day intensive experience. Some 1,500 people sign up each year. The AMG is Mercedes' high-performance class (with a six-figure price range to match). Lima sees giving consumers the chance to drive one demonstrates the automaker's confidence in its products. "The driving academy is one of our greatest opportunities to market the Mercedes-Benz brand overall," he says. "We know what our vehicles can do, and there's no better platform to showcase the driving performance of our vehicles." Eight years ago, Audi started offering consumers the chance to "push the envelope" of its S-class models at the Sonoma Raceway in California. According to the company's senior experiential marketing specialist Danielle Vontobel, the Audi Sportscar Experience, which attracts around 2,500 drivers each year, does more than teach road-handling skills. "It's about creating a bond with the brand and connecting people to our track heritage," she says. "We're rooted in racing history, and a lot of our cars are tested on the track. So we're giving customers the chance to experience the car where it was built and designed." Seeing that these experiences mean gripping the wheel of an enormously expensive automobile and roaring around the banked curves of a professional track, they are emotionally charged experiences, intense enough to prompt what auto marketers refer to as conversion. Meaning that such driving programs can turn the merely curious into actual customers. "I can't give you the number," says Audi's Vontobel, "but there is data that says that of the people who come to this program, a percentage will buy a car." Oosthuizen affirms that the Porsche track "translates to sales—we've proven that to a fair degree." In particular, he adds, "if a dealer brings in 10 or 12 prospects and demonstrates the cars, we have a much better chance to upsell them, [for example], from a Carrera to a Carrera S."
BMW's Gubitosa adds that taking a car for a spin can make all the difference for that customer who's not quite ready to buy. "Maybe you're on the fence and don't know what BMW is all about," he says. "Once you get here, you may change your mind." Gubitosa hastens to add that his instructors are there to teach, not move merchandise. "This is not hard selling," he says. "We don't say, 'Are you ready to buy?' We want you to feel comfortable with the brand. Do we want sales? Sure. But the better job we do showing off the car, the more likely you'll consider the brand." And even if track participants don't buy anything more than a lesson, there's ample benefit for the brand in terms of word of mouth. Drivers who enroll in classes will invariably tweet about it, take selfies and boast to friends about the cars they drove. "Social media is our biggest tool," Oosthuizen says. "Because most people talk about and relate their experiences, the multiplier effect is very successful." Adds Mercedes' Lima: "Word of mouth goes a long way." Still, these facilities are not without their issues for those who run them. They are complex to operate, and expensive. They are actually a loss leader for most, though BMW's Performance Center does make what Gubitosa terms "a small profit." Concedes Audi's Vontobel, "It's a significant investment on our end," confirming that the automaker's track program is a line-item expense. Adds Porche's Oosthuizen, "There's a lot of wear and tear on the vehicles, the insurance, the cost of your coach"—never mind the upkeep of the track and the rest of the infrastructure. 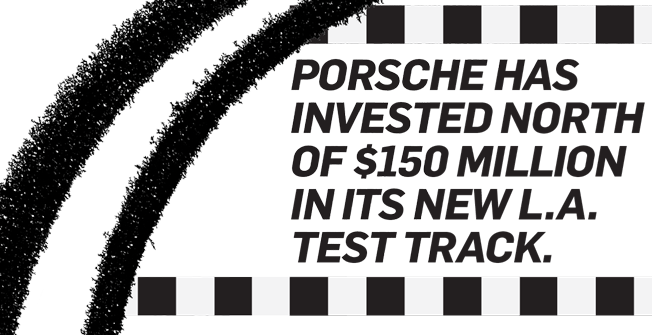 Porsche invested more than $100 million in its Atlanta test track. Considering the hefty investment, why not just leave test drive to the dealership? That might suffice for those selling a subcompact or mini van, these companies say, but a high-performance car should offer a corresponding experience. "You don't appreciate the vehicle until you get onto a course like this and see what the car can do," explains Gubitosa. "It's not something you can experience in the dealership." "You can only have so much fun driving down the interstate," adds Oosthuizen. "There's congestion, traffic and someone in front of you. But at the experience center, it's a driver-demonstration track. It's safe and educational. Driving is the pinnacle of the experience, and that's the beauty of the venue." Porsche's belief in the value of its test track is such that it is building another one on the West Coast that, when it opens later this year, will be even bigger than the Atlanta outpost. The Porsche Experience Center Los Angeles will feature a 50,000-square-foot facility on 53 acres, including a test track with 10 different driving modules that can accommodate 16,000 drivers annually. "The investment we've made is quite significant—north of $150 million—but it's a worthwhile investment," says Oosthuizen. He is well aware that Porsche's rivals offer their own elaborate driving experiences. But "when L.A. comes to fruition at the end of the year," he says, "we'll be at the pinnacle." This story first appeared in the August 8, 2016 issue of Adweek magazine.